Herbal Extracts are some of the best ways to get the most out of your natural herbs. They are easily added to some juices, teas, or other beverages. Some examples of herbal extracts include tinctures, elixirs, syrups, and teas. Concentrated extract herb powders have been processed in such a way, that brewing is not necessary. Simply place the herbal powder into a heat proof mug and pour boiling water into the mug, stir until dissolved. Amounts used vary depending upon what the health issue is. See our FAQ page for how to start using herbs and dosages. An herbal extract is produced by adding a liquid solvent to a herb and letting the medium activate the components of the herbs, as well as to preserve the herbs. Herbal extracts separate the medicinal and beneficial components of a given herb from the less useful parts of the plant (like stems, leaves, and seeds). They can be in either liquid or powder form, but we recommend them in liquid form for two reasons: herbal liquids tend to be less processed compared to powders and liquids are more easily assimilated by the body for maximum benefit. Shake well before using. Take up to 40 drops in two ounces (2 oz.) of water or juice, two to four times per day. Most liquid extracts are best taken between meals. You will see a Dry Herb:Menstruum ratio on liquid extracts. This is the ratio of the dried herb to the liquid. For example, a 1:4 ratio would mean that there is one part dried herb to four parts liquid in that particular extract. The higher the ratio, the stronger the extract. 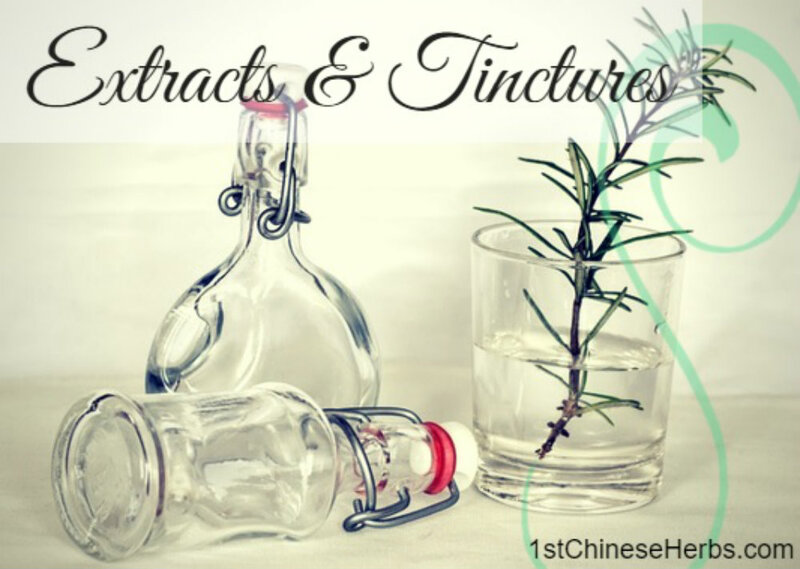 A botanical tincture (sometimes called a herbal tonic) is a heavily concentrated extract that is made by putting herbs in a jar and covering them with a solvent: alcohol (brandy or vodka), vinegar, or glycerin. Herb Tinctures made with alcohol tend to be the most potent because alcohol is rapidly absorbed in the blood stream, allowing the natural herb to work very quickly. You can save money by making your own extracts and tinctures at home. Making your own natural herb tincture is easy! Just follow these four easy steps. 1. Put your chosen herbs into a bottle with your chosen solvent (alcohol or vinegar) with a 1:4 ratio (1 ounce of herbs to 4 ounces of solvent). If you are using glycerin, cover the herbs with either 100% glycerin or three parts glycerin and one part water. Seal the bottle tightly. 2. Pour the solvent over the herbs ensuring that the herbs are completely covered, even if it takes more liquid to do this. 3. Let this mixture age for six weeks, slightly shaking it every day. You may find that you will need to add more alcohol to insure that the liquid is all the way to the top of the container. Do not put this in direct sunlight. Use a dark container if possible. 4. After 6 weeks, drain and use as directed. Be sure you label the jar with date, contents, and ingredients. Alcohol tinctures will last for several years. Vinegar tinctures will last about six months to a year. Glycerin tinctures will last about one to two years.